At its core, this is a combo deck that has targeted interaction for very particular strategies. You're trying to assemble either Dark Depths plus Thespian's Stage or a Strip Mine/Wasteland lock as early as possible, depending on the matchup. Null Rod and Chalice of the Void go a long way to ensuring that your Wasteland Plan can keep up with opposing fast mana while efficient tutors like Crop Rotation and Gamble help you set up cards like Fastbond, Ramunap Excavator, or Life from the Loam, depending on the matchup. In addition to the combo and prison elements of this deck, you also have the ability to play a more controlling gameplan. Cards like Karakas protect you from the likes of Griselbrand while Barbarian Ring and Thespian's Stage protect you from creatures. 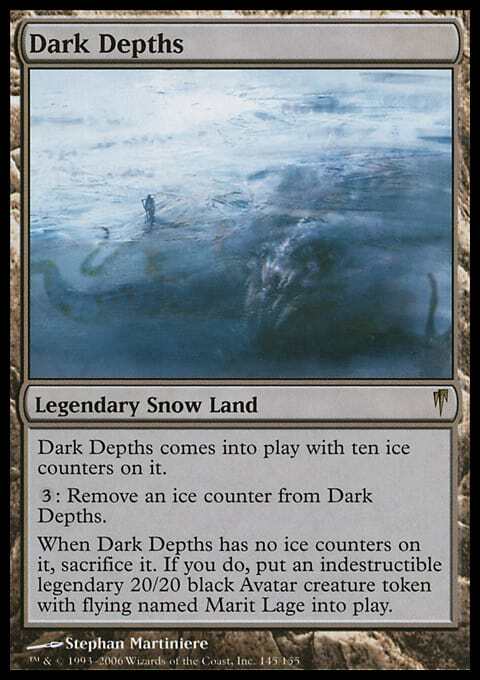 You even have the ability to use Bojuka Bog as instant-speed graveyard hate against decks like Dredge and even recur it by sacrificing it to Glacial Chasm and Crop Rotation. These combo engines and limited interaction are stitched together via Bazaar of Baghdad, which teams up with Life from the Loam to form an incredible card advantage and selection engine. If games go for more than two or three turns, you're going to see way more cards that your opponent and demand interaction at far more points than other graveyard decks like Dredge. If you've been looking for an excuse to play Life from the Loam in Vintage, perhaps this is a good place to start.